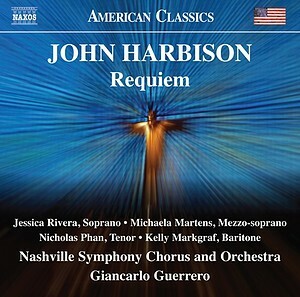 John Harbison: Requiem | Kirshbaum Associates Inc.
Pulitzer Prize-winner and MacArthur fellow John Harbison has composed a Requiem for our times- a moving choral work that incorporates the composer’s distinctive sensibilities while drawing deeply on the tradition of Latin sacred music. Completed in the wake of the 9/11 attacks, Harbison’s Requiem is full of dramatic passages from singers and musicians alike, with abundant opportunities for vocal soloists, brass and percussion to shine. “I wanted my piece to have a sense of the inexorability of the passage of time,” the composer says, “for good and ill, of the commonality of love and loss.” Giancarlo Guerrero is the six-time Grammy-winning music director of the Nashville Symphony, music director of the Wroclaw Philharmonic in Poland, and principal guest conductor of the Gulbenkian Orchestra in Lisbon, Portugal. A passionate proponent of new music, he has championed a number of America’s most respected composers through recordings, commissions, and eight world premieres with the Nashville Symphony, including the Grammy-winning recording of Michael Daugherty’s Tales of Hemingway.